There's Plastic In Our Drinking Water. So What Can We Do About It? Plastic is literally everywhere in our world. On our food, in our clothes, cars, houses and now it's made its way into our drinking water. Here's the low down on how it got there, why it's a problem and what you can do to help. A study of tap water from 14 countries has shown that water across the world is contaminated with tiny microfibres of plastic. 80 percent of the samples collected from six continents over 10 months were found to contain plastic. There were even microfibres found in three brands of American bottled water. The study was run by Orb media alongside a research team at the University of Minnesota who collected a total of 159 samples from Cuba, Ecuador, France, Germany, India, Indonesia, Ireland, Italy Lebanon, Slovakia, Switzerland, Uganda U.K and the U.S. The US and Lebanon had the highest contamination with 94% of samples containing plastic. Even Trump Tower and the headquarters of the EPA showed samples with plastic in them. So the big question stands - how on earth did the plastic get there? The first thing we need to consider when understanding how plastic is contaminating our water without us noticing, is that plastic doesn't biodegrade. It does however break down into tiny pieces. When I say tiny I mean REALLY REALLY tiny. They can be as small as one-one thousandth of one-one thousandth of a millimetre. So divide a millimetre into one thousand then divide that into one thousand again and that's how small plastic can get. That's smaller than bacteria. Small enough to migrate through the intestinal wall and into bodily organs. 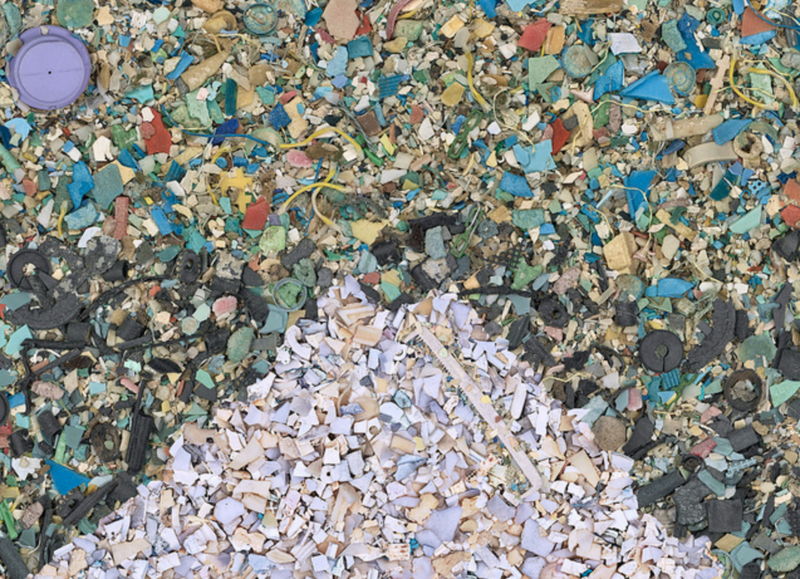 Microplastic that has broken down in the ocean. These are small but they can easily become much smaller. Some plastic starts off big as coffee cups and straws and plastic bags that are blown away or wash into the ocean. Other Plastics are already really small like plastic microbeads in cosmetics, or microfibres from clothes, tyres and paint. Regardless of its original size, every piece of plastic that has ever been created is still in existence and is continually breaking into smaller and smaller pieces. Scientists say the plastic found in our drinking water could come from airborne fibres from clothing and carpets and car tyres that then contaminate local water sources, or treatment and distribution systems. But no one actually knows exactly how the contamination occurs and so far, there aren't any specific procedures for filtering or containing them. The next question to ask is why is this a problem? We've all seen the images of marine animals choking to death or washing up on the beach with stomachs full of plastics. But as plastic becomes smaller, it presents a different problem. Plastic is hydrophobic which means it repels water. Some harmful pollutants called POP's (Persistent Organic Pollutants) are also hydrophobic. Normally these toxins and chemicals are extremely diluted throughout water and not harmful but when they come in contact with plastic they sorb together. The longer the plastic lingers in the water the more pollutants attach to it until the plastic becomes like a mini package of concentrated pollution. These tiny pieces of plastics have been tested to be 1 million times more toxic than the water around it. These are potentially the same plastics in our drinking water that can be small enough to pass through the wall of a human intestine. 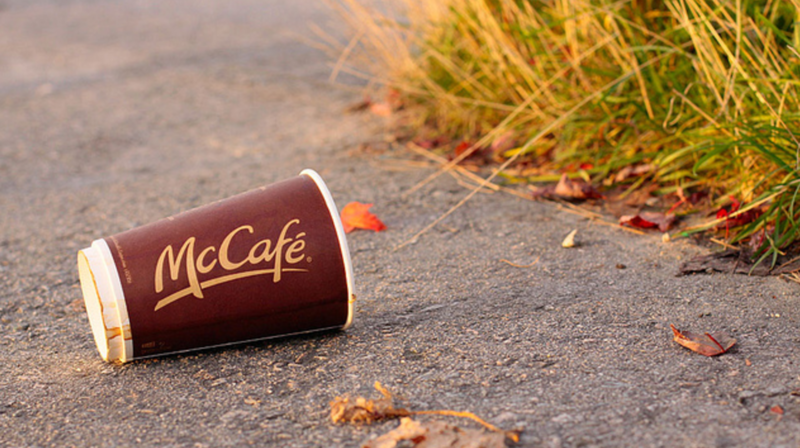 A coffee cup littered in the street can wash down the drain and into the ocean, eventually turning into microscopic plastic. Microplastics have been shown to release these pollutants when consumed by fish and mammals (aka us). So far, there hasn't been extensive research into what the impact these toxins have on the human body but they have been linked to cancer, malformation, decrease in the immune response and impaired reproductive ability. This leads us to the biggest question of all, what do we do about it? The first thing we can do as individuals is use less plastic. Every single piece of plastic ever created exists somewhere and once it's created it never goes away. Even if you're responsible and put things in the bin or even recycle your plastic, there's always room for error and most plastic ends up in landfill. It might be tempting to reach for the bottled water to avoid the plastic microfibres but remember, some bottled water in the U.S was contaminated too. And in the long run, bottled water will make the problem worse for our children and grandchildren. This issue won't go away if we continue to use plastic the way we are now. We need to be speaking up about these issues wherever we can, cleaning as much rubbish as we can from beaches and curbsides and avoiding plastic wherever possible in all its forms. We need to start taking initiative and getting creative. Use your skills to spread the word and encourage action on all sides. Maybe you're a scientist who can do more research, maybe you're an aspiring politician who wants to make legislative change, maybe you're a business owner who can go plastic free, maybe you're an artist, a teacher, or even just a parent who can pass the message on to the next generation. Whatever your skill is, start using it today to help start the ball rolling. But the blame doesn't rest solely on the shoulders of the consumer. Plastic manufacturers, clothing producers, treatment plants, governments and washing machine manufacturers all have a part to play in this story. Instead of industries trying to shift the blame onto the shoulders of others they need to be acknowledging that we all have a part to play and working together to find solutions. No one person is to blame yet we all are to blame at the same time. Humans created the plastic pollution problem, which means we can find the solutions as well.